You've probably heard the saying, "For every action, there is a reaction". And the fortunes of the construction industry these days bear this out. The industry has climbed back out of the pit of few jobs and high unemployment dug in the early 21st century. And in doing so, it's helping the American economy to further climb out of that pit as well. According to statistics provided by the U.S. Department of Labor, construction firms hired 45,000 workers in April of this year. This makes the construction industry the United States' single biggest employer in this time frame, along with private business and health care. This hiring boom is good news, considering that 9,000 construction workers were laid off in March of 2015 alone. While some analysts thought the losses were due to lingering poor weather following the brutal weather in parts of the country, others disagreed. They pointed to the rapidly changing fortunes of American oil and natural gas production, a factor that affects both pipeline and temporary residential construction. Odds are good that those lost jobs will eventually be restored, but in the meantime, where are all of these new construction jobs coming from? 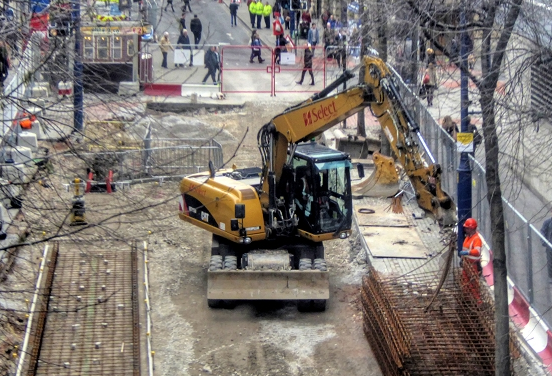 The DOL's report indicated that while nonresidential construction is down, especially with commercial buildings, residential construction is on the upswing. This is especially true in the case of multi-family homes, large apartment buildings, and hotels. The construction of private homes has picked up this year as well, now that winter has finally ended. Despite March's big job drop off, almost 3,000 new residential jobs were added in that same month for a total of 41,000 new jobs in the past year in that sector alone. And while the news from the non-residential sector isn't currently rosy, experts expect that situation to change. Big new hospital and school projects are in the works in the near future. Corporations are expected to resume commercial building expansion as well, as the economy continues to improve. This is certainly good news for the construction industry economy. But how is it helping the economy in general? Increased employment in construction means that paid construction workers are workers who can do more shopping, as can their families. Businesses near project sites like stores and eateries see an uptake in their profits when patronized by workers on break or at meal times. And workers in industries that have recently seen large layoffs like mining and engineering are finding new careers in construction, good news for the construction industry as well, which badly needs the skills these new workers bring.